An online petition is put forward to the responsible office via the internet. This possibility exists since the beginning of the 21st century and is accepted by the governments as an adequate petition process. The internet petition facilitates the process of making a petition for all parties involved. Petitions published via internet attract interest very fast and by means of that spread quickly. An internet petition formulated by one person is a possibility for anyone to speak directly to the government via the internet. An e-mail does not provide a proper format. The administrations have introduced a specific online-form in which the petitioners sign the petitions in a special signature box. When the online petition is ready to be sent, it is transferred to the Committee on Petitions which treats the document confidentially. To publicize an issue to enable a discussion and to seek for assistance by other internet users, one may publish a so-called public petition via the internet. With it the name of the petitioner is published as well. Other users now have the chance to read, discuss and sign the public online petition for several weeks. Afterward the petition has to exhibit a certain amount of supporters so that the petitioner may state his or her request in the Committee on Petitions personally. A television broadcast is not unusual at this stage of the petition process. After the public sitting the Committee of Petitions decides about whether the petition may be moved on or not. When does a public Internet Petition become a simple Petition of one Person only? As soon as the responsible administration discovers that a public online petition does not match with the required criteria it is downgraded into the position of a simple online petition. That means that from now on it is treated on a confidential and not on a public level. 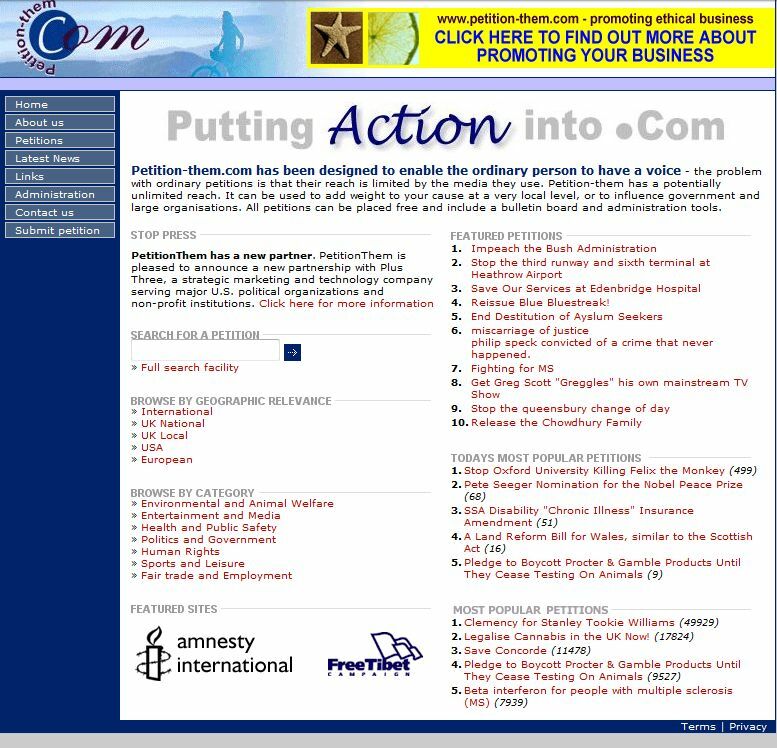 Several opinions and petitions collected in the internet concerning one issue and staying without any judicial effect are called unofficial online petitions. In this case the collection of signatures by other users is carried out by signatures displaying just the name and the e-mail-address of the supporter. The unofficial online petition may not have a judicial effect, but it is a great help to put the respective offices under pressure.